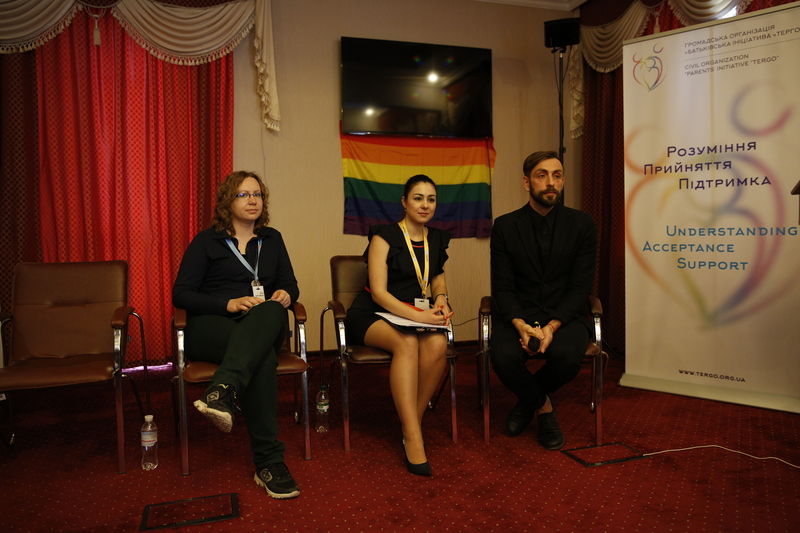 LİSTAG Mayıs 2015’te Ukrayna’da, LGBT Aileleri Konferansı’na katıldı. 10 ülkeden temsilcilerin katıldığı konferans Ukrayna’da (Kiev) ilk kez düzenlendi. 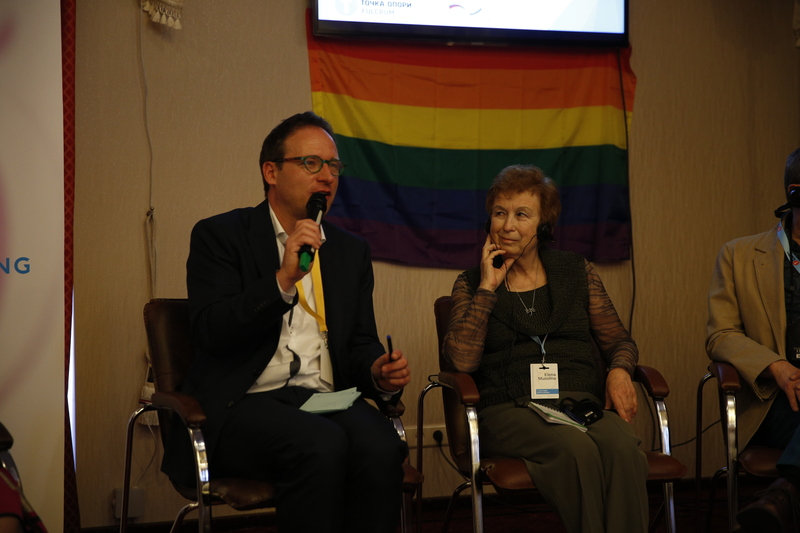 Last week the conference of parents, relatives and friends who support LGBT- people in their struggle for equal rights and tolerance towards sexual minorities was held in Kiev. 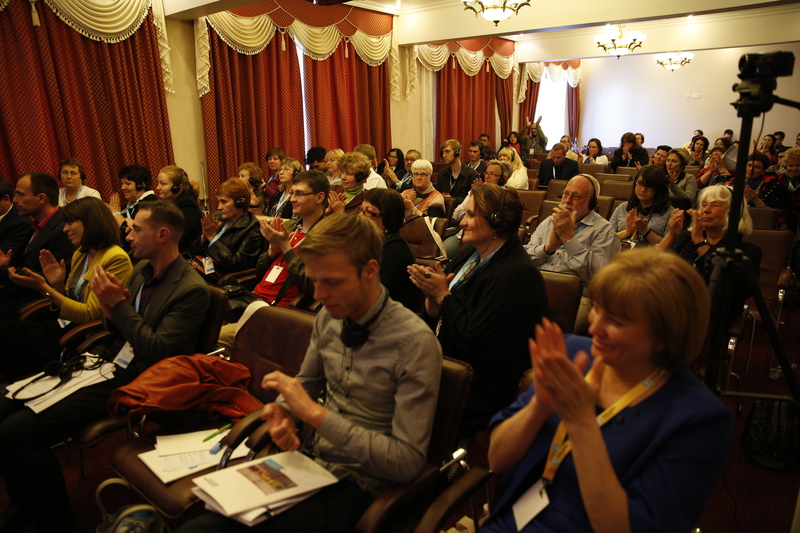 It was the first conference in Ukraine like this visited by representatives from more than 10 countries. At this important event in the heart of the capital was no place for geopolitical conflicts: guests from Russia, USA and Germany spoke the same language of understanding, support and acceptance. “One person hasn’t enough authority to change this unfair but still taken for granted by the majority status quo”, said Elena, openly-gay’s mother. Deputy Executive Director of the American organization PFLAG (“Parents, families and friends of lesbians and gays”) Elizabeth Kohm said that she is a mother of little children and does not know what their orientation will be in the future. And that is why she supports LGBT. “We realize that understanding, acceptance and support is a goal which should be strived for.” – said the representative of PFLAG that embraces more than 200 thousand members. 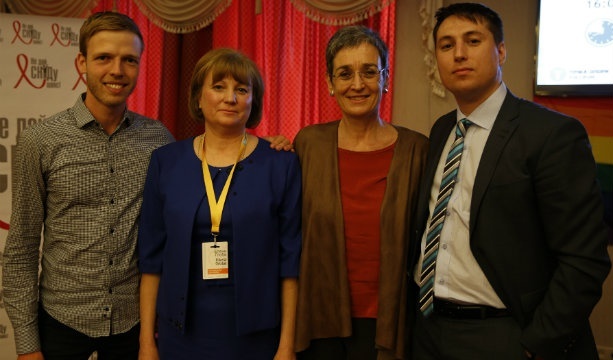 The first international conference in Kyiv was attended by parents and visitors from Russia who continue to defend the equality right in difficult conditions. One of them was Elena Musolina an activist of the parens’t club of LGBT organization “Vukhod” in St. Petersburg. “I would call the law banning propaganda of non-traditional relationships “law of silence “. Unfortunately, homophobes have full freedom of expression and the support of the church and state. We do not give the right to say something to protect our children. The only form of our participation in this struggle is our Parents’ Club, ” told Musolina about the situation where Russian LGBT work and live. During the first panel discussion German Angelika Ribak working in the clinic “Charite”, which treated many famous politicians and Ms.Tymoshenko, delivered the lecture “Sexual orientation: options’ multivariation beyond pathology,” in which she drew attention to why it is a mistake to consider homosexuality as a deviation from scientific point of view. She started it with the words of the famous psychoanalyst Sigmund Freud, who said that psychoanalytic researches strongly object the attempts to separate homosexuals in a separate group of people. 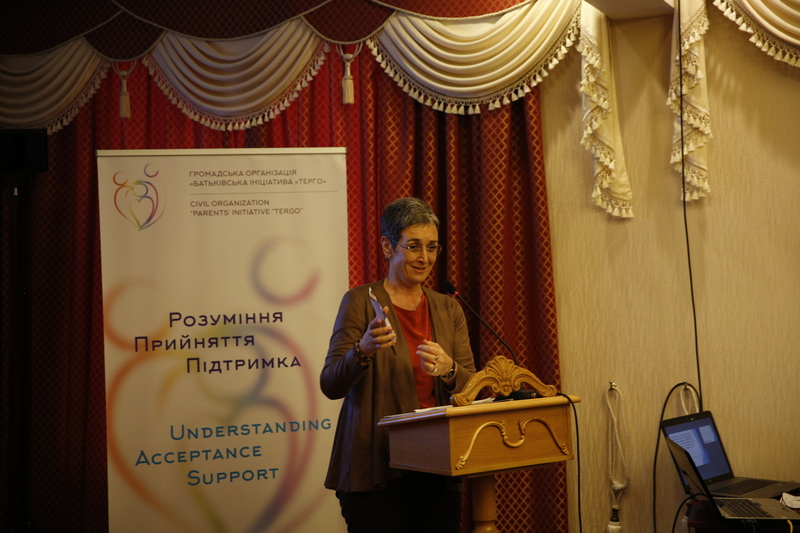 Ms. Ribak recalled the most important dates in depathologization of homosexuality (1973 – the American Psychiatric Association excludes “homosexuality” from the list of disorders, and in 1991 – the WHO did) and revealed important issues often concealed by those who denounces sexual minorities. This information was confirmed by the Ukrainian psychologist-practitioner working in the Kyiv center of family planning, human reproduction and sexology Alexander Dimitrenko. He drew attention to practical issues of consulting representatives of LGBT and their socialization in a homophobic society. The Austrian psychologist and psychotherapist Martin Ploderl spoke about why LGBT people often have a suicidal mood and how the support of parents, relatives, friends and colleagues helps to solve this problem in his lecture. Ulrike Lunachek – head of delegation of the Austrian Greens in the EU Parliament, , vice-president and foreign affairs spokesperson of the Greens/EFA, co-president of the Intergroup on LGBT Rights. The Austrian politician, vice president of one of the factions of the European Parliament Ulrike Lunachek came to make a greeting speech at the conference. “If it was just an ordinary LGBT conference, I’m not sure that I would take the flight this morning. But when it comes to support parents, families, brothers, sisters, I believe it is very important “, said Lunachek to the attendees. Lunachek very well noticed that passing laws does not necessarily result in change of people’s minds: “I am a politian, I write many laws, but if our laws do not affect people’s hearts, in our case, the souls of heterosexual people, then we can not change society. The forced migrant from the Crimea Bohdan Zinchenko told the participants how to live in a pair with another man who has a biological son. Ella Lamakh dealing with gender politics for 12 years, human rights and the prevention of violence made an interesting report devoted to gender equality, violence against LGBT- people and their place in the state social policy. 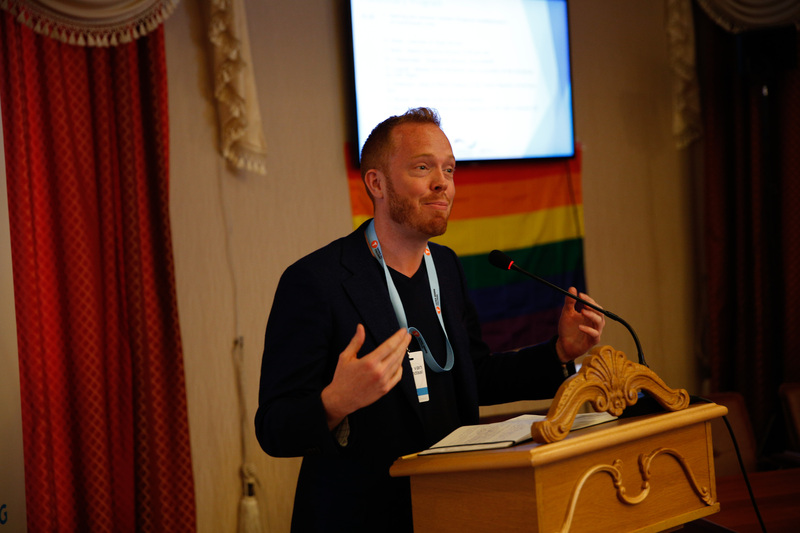 The Programme Manager of AUCO Fulcrum Dmitry Pichahchi presented the project on the Corporate Equality Index which is currently being implemented in Ukraine. But can the courts consider this sign seriously if LGBT-stigma is a common practice for a postmaidan Ukraine? In the case of the arson of “Zhovten”, the hooligans’ lawyers are trying to justify the guys on the bases of their homophobia. Mayor Klichko confuses a human rights march with “entertaining gay parade”, the so-called political elite raises LGBT issues only in an entertaining and provocative context, and outing of well-known journalists and politicians results from keeping belonging to the LGBT community in secret rather than a voluntary confession.In light of these gloomy trends, an international conference of parents who are not afraid of openly supporting their LGBT-children is a significant step forward. And even if that change does not occur today, the basis for them exists and all those who initiate this change trust in free and equil future for all rather than dogmas and stereotypes.